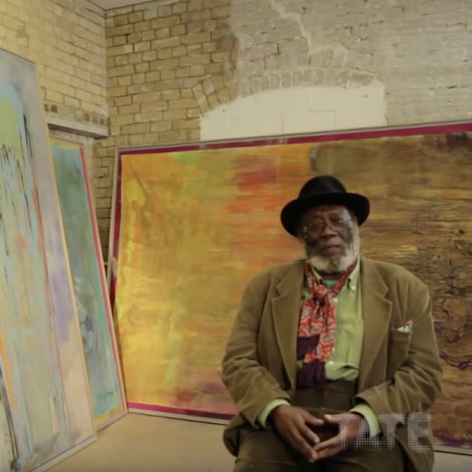 Frank Bowling in his London Studio, 2017. 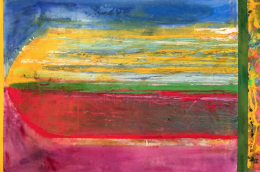 Copyright James Proctor. 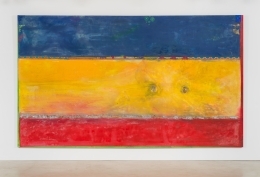 Frank Bowling OBE, RA (b.1934) was born in Guyana and maintains studios in London and New York. 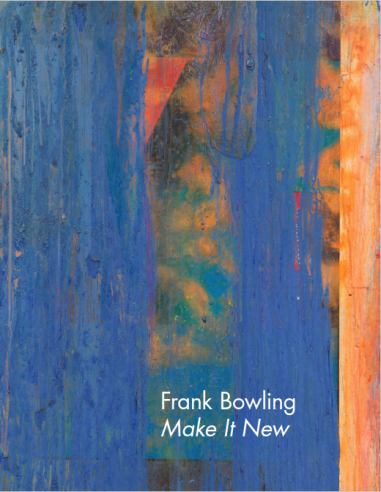 For over five decades, Bowling’s distinct painting practice has been defined by an integration of autobiography and postcolonial geopolitics into abstract compositions. 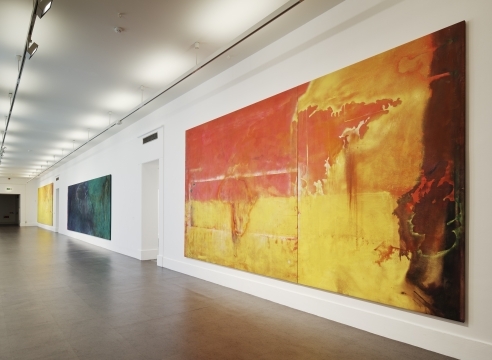 Frank Bowling OBE, RA (b. 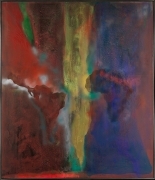 1934) was born in British Guiana and maintains studios in London and New York. 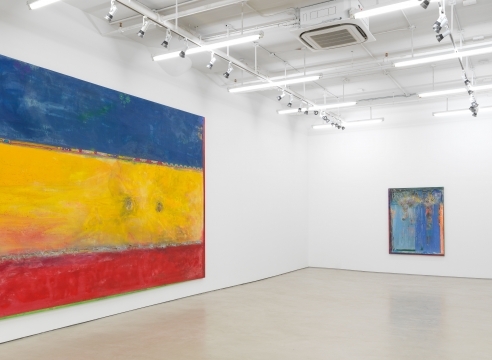 For over five decades, his distinct painting practice has been defined by an integration of autobiography and postcolonial geopolitics into abstraction. 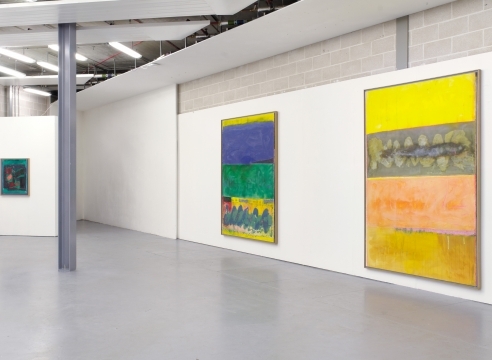 Bowling moved to London in 1953, where he studied painting at the Royal College of Art from 1959–62. 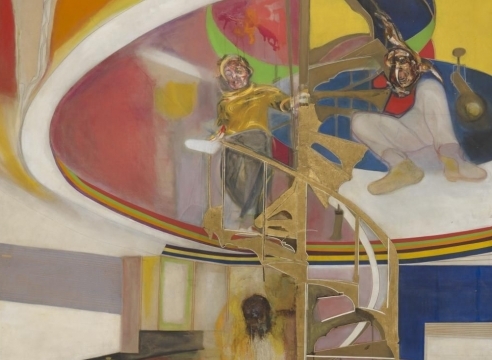 Emerging at the height of the British Pop movement, his early practice emphasized the figure while experimenting with expressive gestural applications of oil paint. 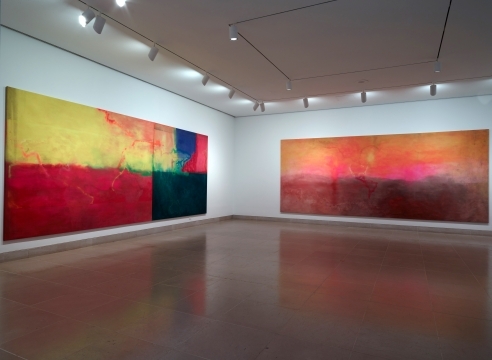 In 1966, he moved to New York to immerse himself in Post-War American Art, and his practice shifted towards abstraction. 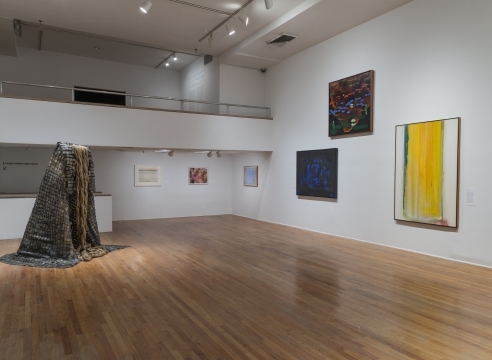 As the art historian Mel Gooding remarked “for Bowling, the complexities and complications of New York art were compounded by the problematic issues of personal expression and public representation that much occupied the thoughts and discussions of his Black friends and associates in a largely segregated art world.” It was in this environment that he became a unifying force for his peers— he curated the seminal 1969 exhibition 5+1, which featured work by Melvin Edwards, Al Loving, Jack Whitten, William T. Williams, Daniel LaRue Johnson, and himself. 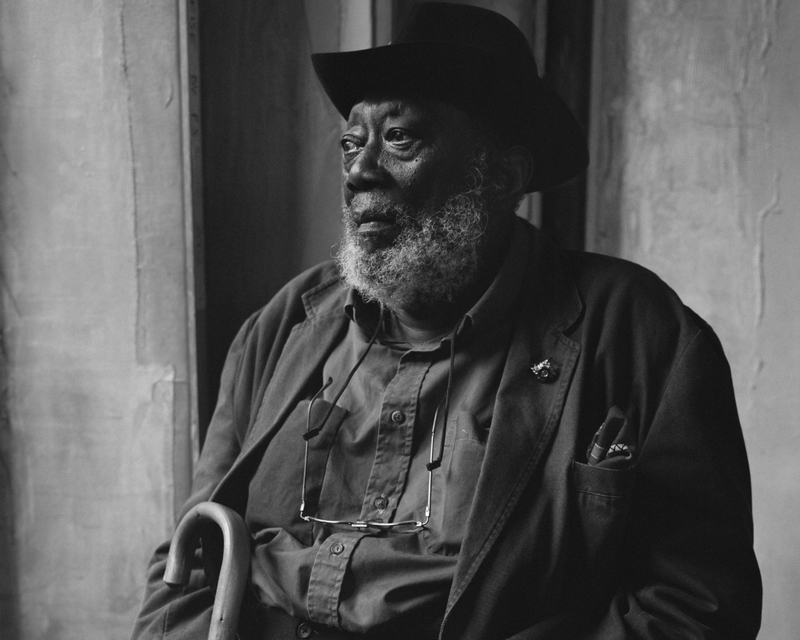 He was also a frequent contributor to publications, including Arts Magazine, where he was a contributing editor and wrote incisive texts on race and artistic production. 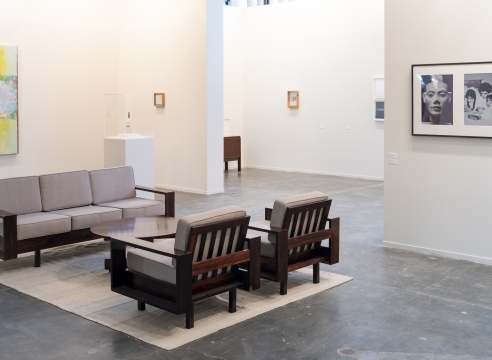 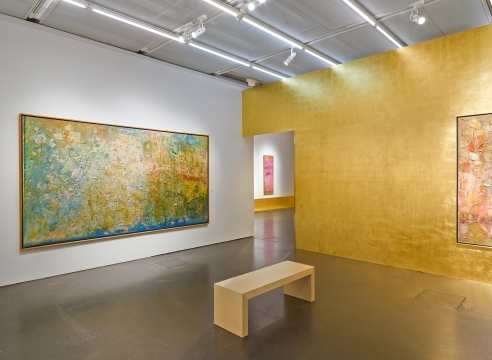 His long friendship and intellectual sparring sessions with the renowned art historian and critic Clement Greenberg opened up further conversations about painting and politics. 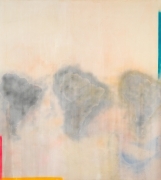 Since 1971, Bowling has abandoned his use of figurative imagery, and focused primarily on material and process. 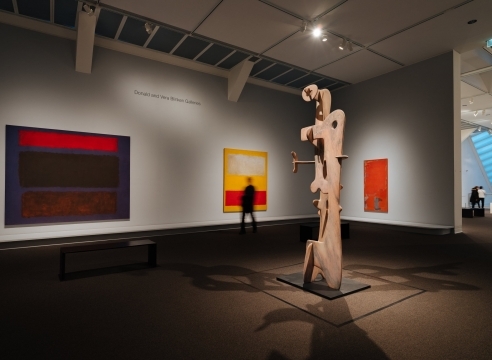 In place of the earlier map formations, geometry provides the foundation for his compositions. 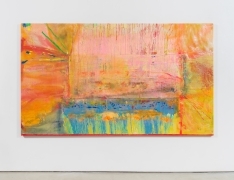 He begins with swathes of color and applies gestural drips overtop, harnessing multiple techniques to create dynamic, yet unified surfaces. 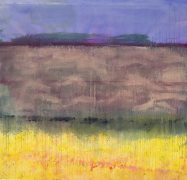 In this way, he inherits and interprets the multifaceted legacy of American abstraction—both gesture and field. 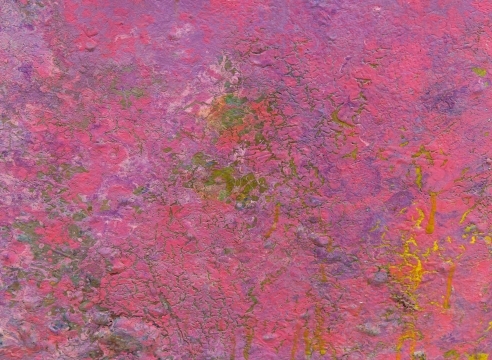 His palette is vibrant and diverse, fluctuating between warm saturated tones and soft pastel hues, muddied textures and sometimes shimmering surfaces. 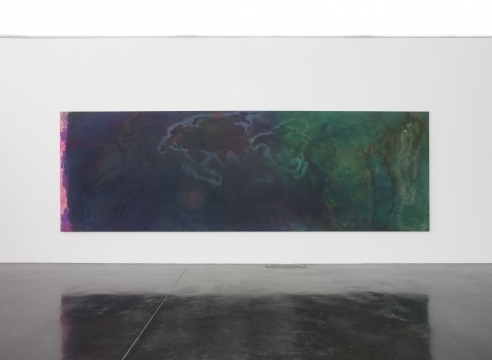 His body of Poured Paintings (1973–78), which he created by tilting the canvas and inviting the effects of gravity into his process, make clear his interest in experimentation and chance as necessary to innovation, opening up metaphors for shifting geographical orientations and movement across bodies of water. 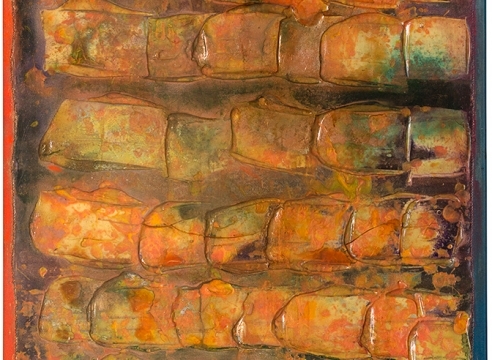 His approaches often include building up paint to emphasize sculptural dimensionality; since 1981, he has embraced pictorial depth further, using foam that transforms his canvasses into reliefs with surfaces and colors that imply geologic strata. 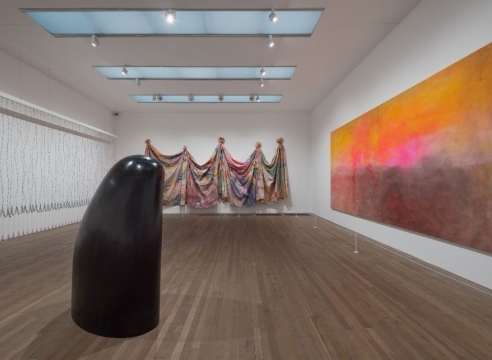 In more recent years, he has introduced collaged elements—including glitter, small toys, and needles—and “seam” imagery into his compositions in homage to his mother, who was both a dress designer and variety store owner. 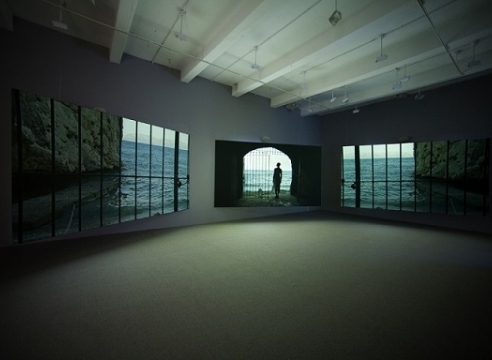 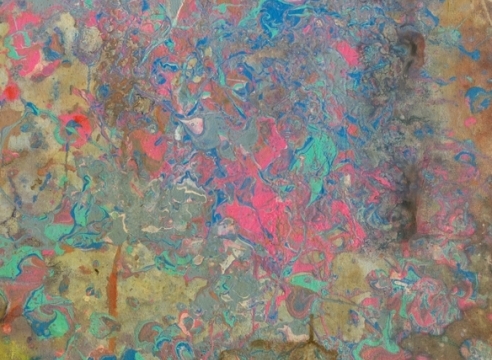 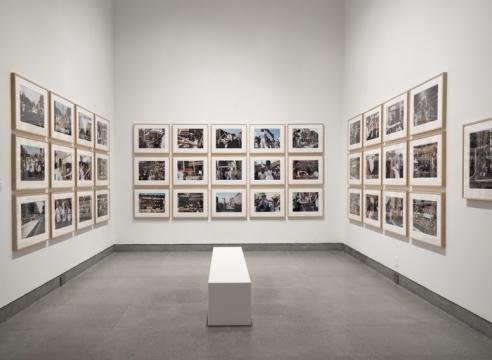 Bowling has described his embrace of pure abstraction as a process of “unlearning” his early techniques; at the same time, his evocative personal titles reaffirm connections between the past and present. 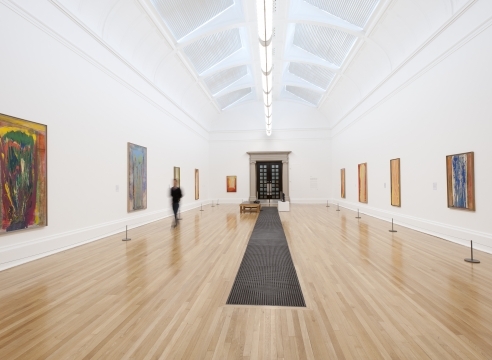 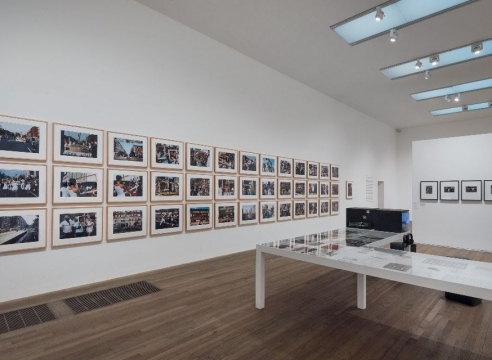 A major retrospective of Bowling’s work organized by the Tate Britain, London, United Kingdom will open in 2019. 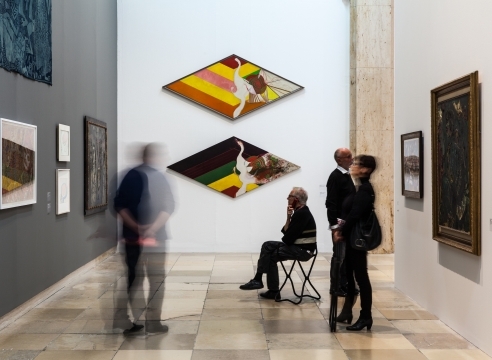 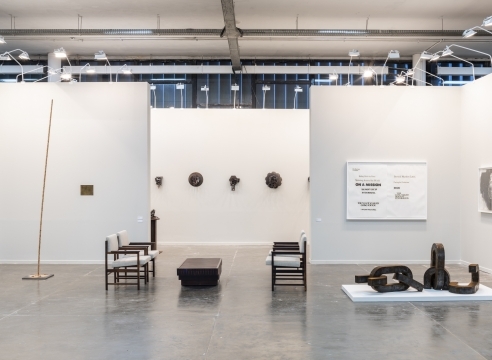 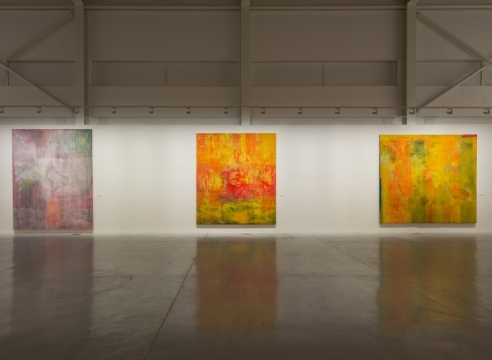 His paintings have been the subject of numerous one-person exhibitions, including Mappa Mundi, curated by Okwui Enwezor, Haus der Kunst, Munich, Germany (2017), traveled to Irish Museum of Modern Art, Dublin, Ireland (2018) and Sharjah Art Foundation, United Arab Emirates (2018); Dallas Museum of Art, TX (2015); Drop, Roll, Slide, Drip… Frank Bowling’s Poured Paintings 1973–8, Tate Britain, London, United Kingdom (2012); Frank Bowling Works on Paper, Royal Academy of Arts, London (2011); Serpentine Gallery, London (1986); Frank Bowling Retrospective, Newcastle up Tyne Polytechnic Art Gallery, Newcastle, United Kingdom (1978); and the Whitney Museum of American Art, New York (1971). 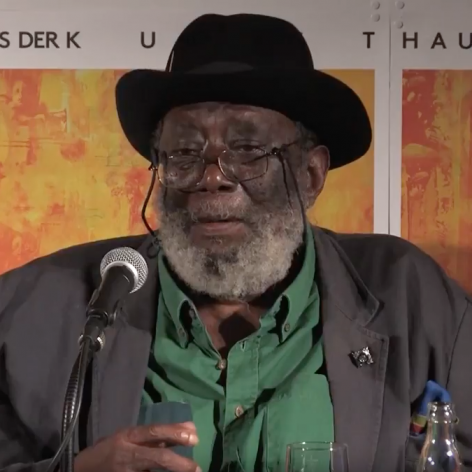 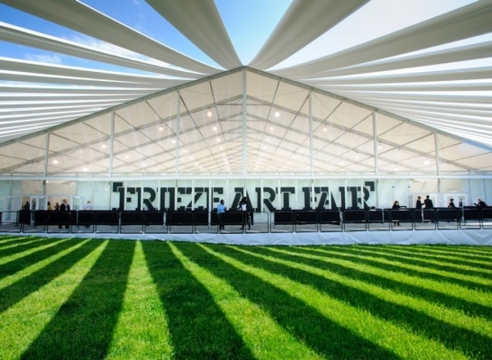 His work has been included in countless group exhibitions, including Soul of a Nation: Art in the Age of Black Power, Tate Modern, London, United Kingdom (2017), traveled to Crystal Bridges Museum of American, Bentonville, AK (2018), Brooklyn Museum, NY (2018), The Broad, Los Angeles, CA (2019), de Young Museum, Fine Arts Museums of San Francisco, CA (2019), and The Museum of Fine Arts, Houston, TX (2020); Postwar-Art between the Pacific and Atlantic 1945–65, Haus der Kunst, Munich (2016); Caribbean: Crossroads of the World, Perez Art Museum, Miami (2014); and Witness: Art and Civil Rights in the Sixties, Brooklyn Museum, New York (2014). 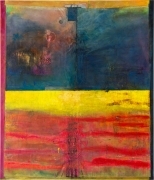 He has been the recipient of many grants and awards, including an OBE: Order of the British Empire (2008); Membership to the Royal Academy of Art, United Kingdom (2005); two Pollock Krasner Awards (1998, 1992); Arts Council of Great Britain Award (1977); and two John Simon Guggenheim Memorial Fellowships (1973, 1967). 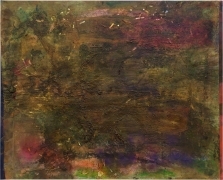 His work is included in innumerable private and public collections, including the Arts Council of Great Britain; Dallas Museum of Art, TX; Guyana National Collection, Castellani House, Georgetown, Guyana; Herbert F. Johnson Museum, Cornell University, Ithaca, NY; Menil Foundation, Houston, TX; Metropolitan Museum of Art, New York; The Museum of Modern Art, New York; Museum of Fine Arts, Boston, MA; National Gallery of Jamaica, Kingston, Jamaica; National Museum Wales, Cardiff, United Kingdom; Royal Academy of Arts, London, United Kingdom; Tate Gallery, London; Victoria and Albert Museum, London; and the Whitney Museum of American Art, New York. 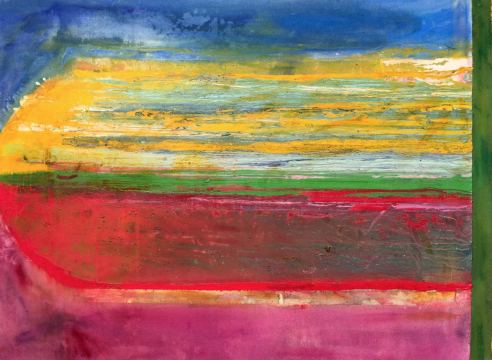 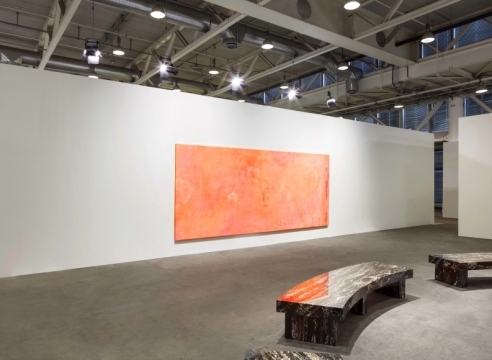 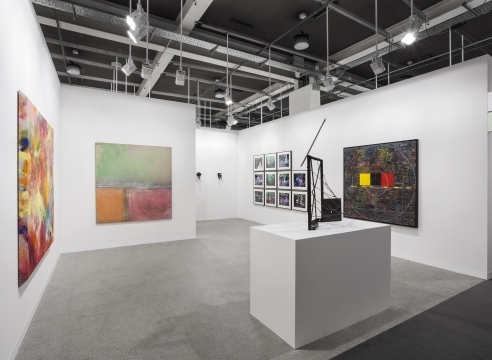 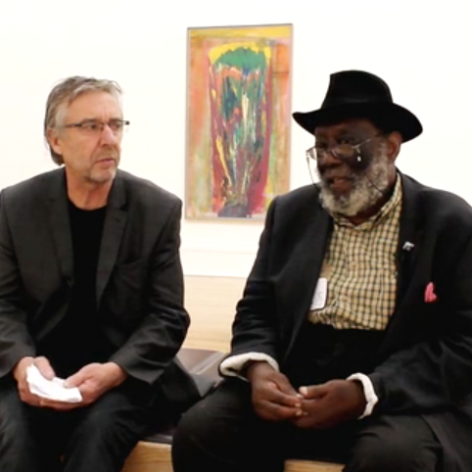 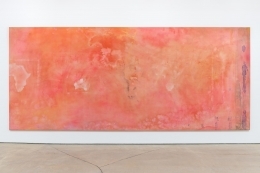 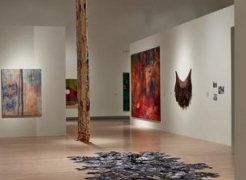 Frank Bowling is also represented by Hales Gallery, London and Marc Selwyn Fine Art, Los Angeles. 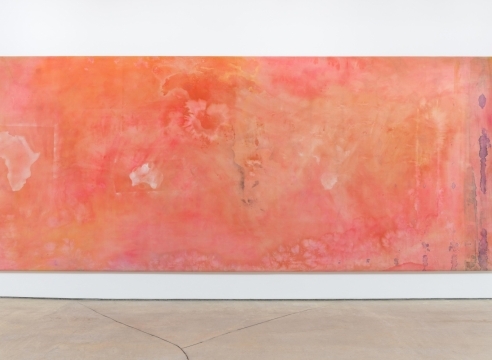 Frank Bowling: Right Here. 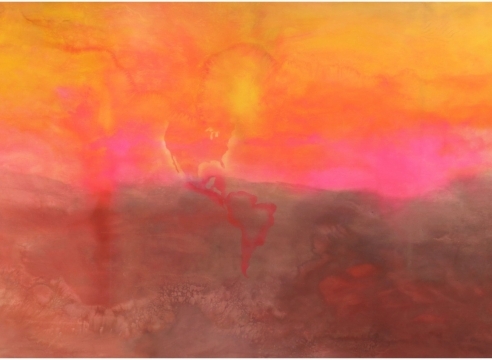 Right Now.